WWE is currently one of the highest watched sports on a global scale. However, this was not the case from its advent as it took some time for this sport to gain popularity and make its mark in the world. Nowadays, superstars like Young Bucks, Kenny Omega, Roman Reigns and Cody Rhodes are the popular ones in action. The aforementioned superstars have found success, but not to the extent to be called revolutionary. As, a revolutionary WWE superstar is a mixture of two components. Firstly, they have unparalleled success behind them. And secondly, they are defined to be the trailblazers of their respective generation and an influence on the future generations to come. Before Hulk Hogan emerged on the scene, professional wrestling in USA was divided into territorial business. This concept changed when Hulk Hogan who is most popularly known by his nickname, Hulkster, arrived in this sport. 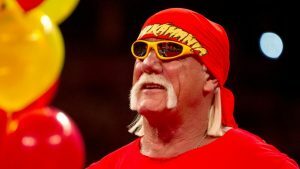 Hogan was the first WWE superstar who took advantage of the Cable TV and in particular, the pay-per-view system to revolutionise this sport. Before Hulkster, wrestling was perceived a more competitive game and lacked an additional flavour of drama. Hogan changed this perception through his theatrical style, and put this sport on the map. At his peak, his popularity grew so much that people found his words as the gospel truth. 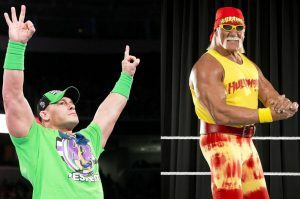 Furthermore, Hogan also influenced numerous WWE superstars to join this sport. Some of which include the likes of Christian, Edge and John Cena. Can you guess #4? Move on to the next page to find out!